#ArduinoInAustralia #DFRobotInAustralia. 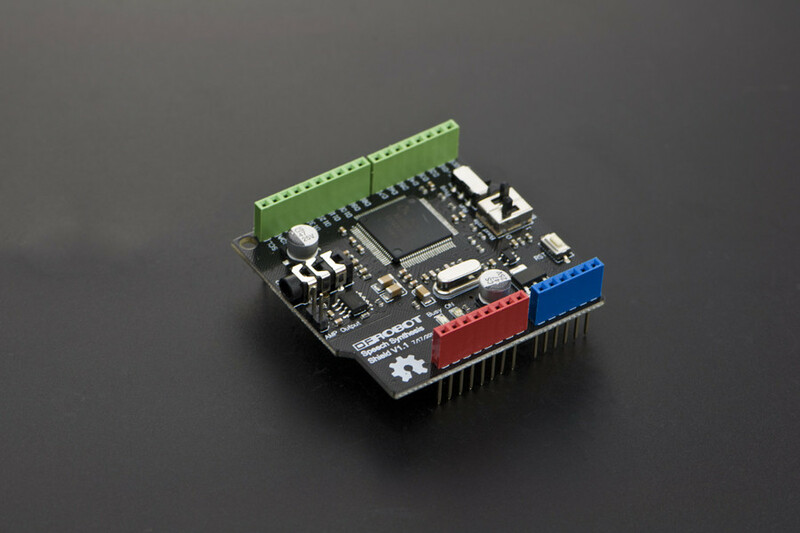 Make your electronic projects speak with Speech Synthesis Shield for Arduino. This shield is compatible to stack up on standard Arduinos. It utilises XFS5051CE speech synthesis chip that combines world leading technology and a high degree of integration. Also, supports Chinese and English languages. It can be interfaced by UART or IIC or SPI. Ever want your robot could speak up and report what’s going on? Or have your plants say if it feels thirsty? The Speech Synthesis Shield for Arduino makes it an easy way to give voice to your robots and projects.